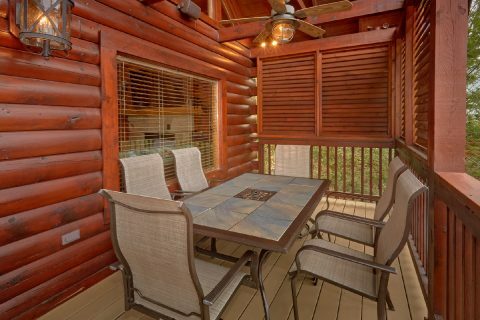 Escape to a luxury 6-bedroom cabin with a deck in Arrowhead Resort at "Arrowhead View Lodge!" 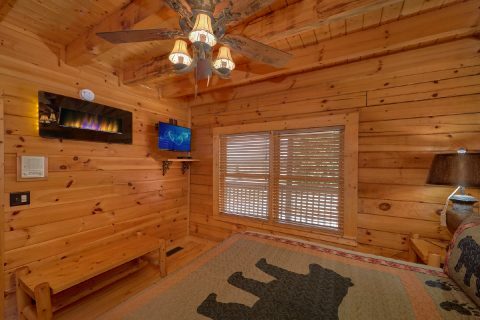 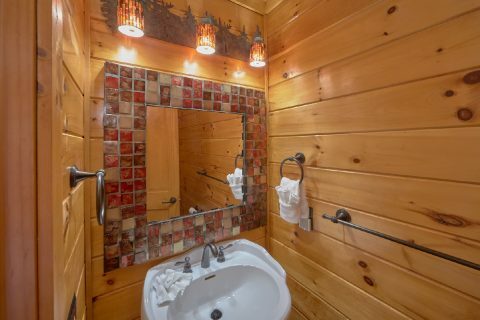 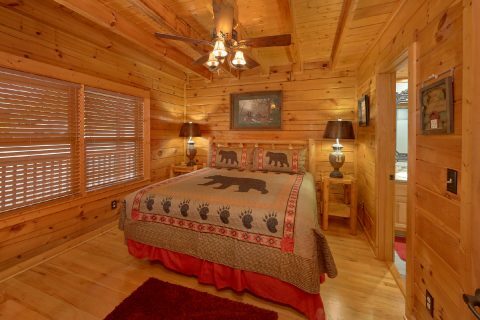 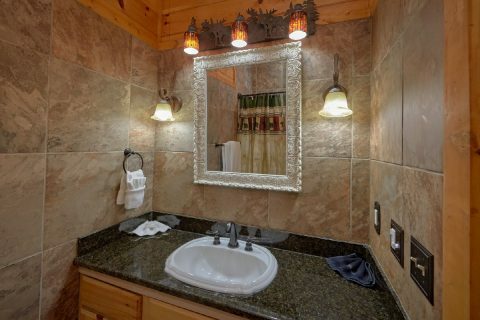 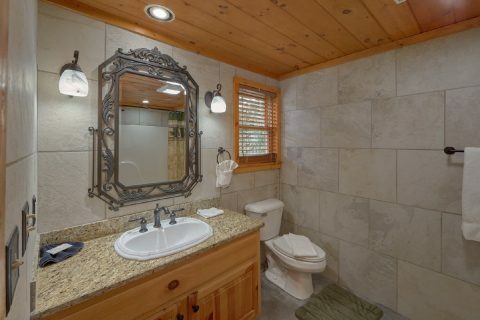 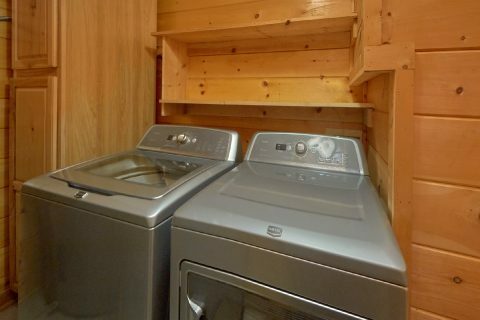 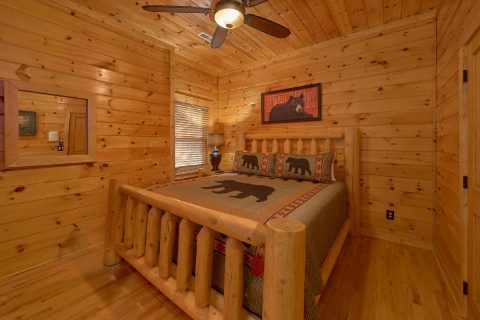 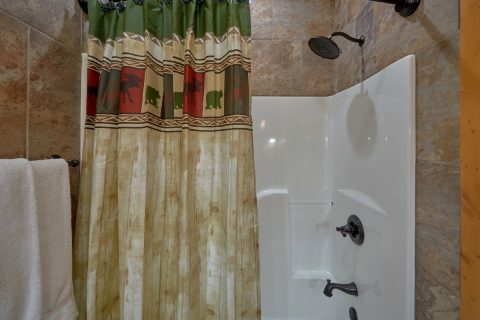 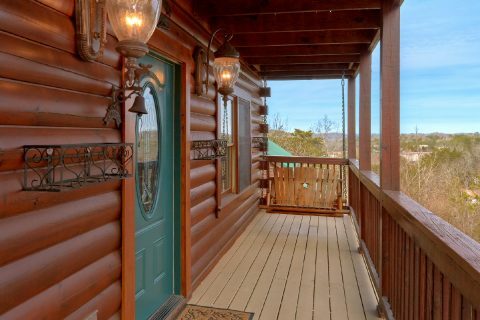 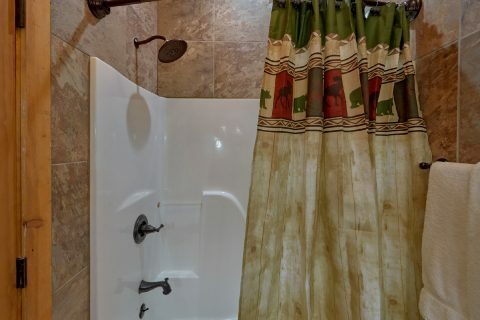 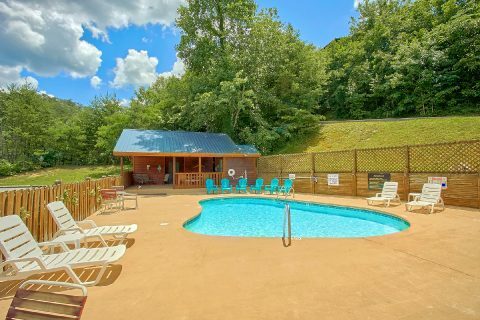 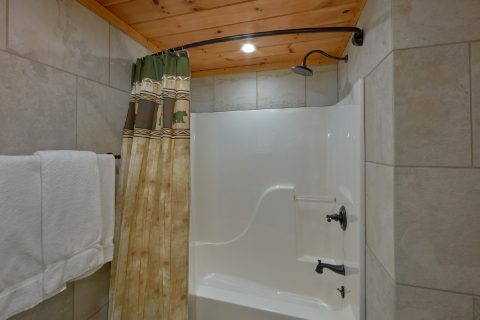 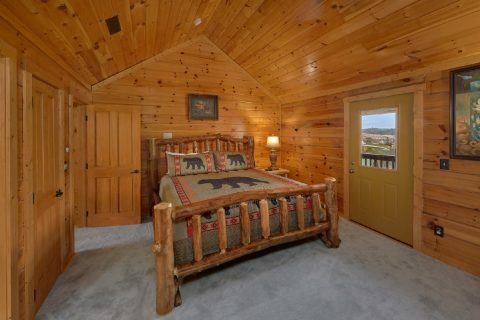 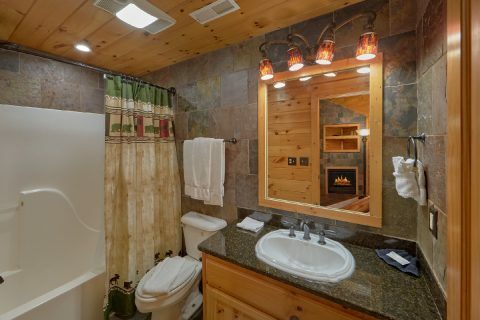 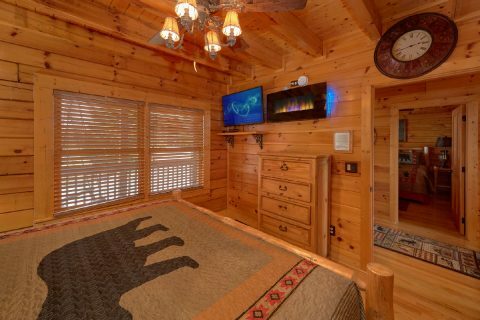 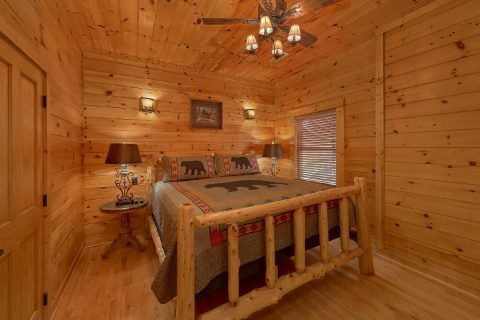 This magnificent cabin sleeps 14 in comfort and style with a sumptuous interior, and it rests close to all the fun, exciting attractions located along the Pigeon Forge Parkway. 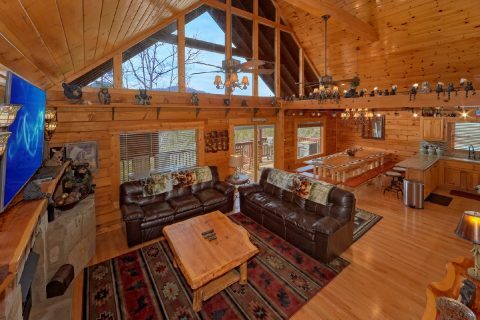 With great amenities and perfect location, this cabin is sure to be the setting for your most memorable mountain vacation. 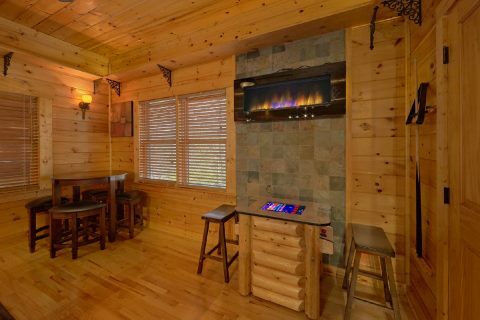 Your luxury cabin offers guests a chance to relax and unwind as well as enjoy fun and entertainment. 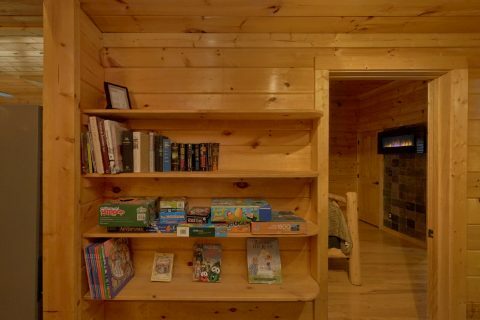 Stepping in this cabin on the main level, you'll find all you need for fun times with friends and family. 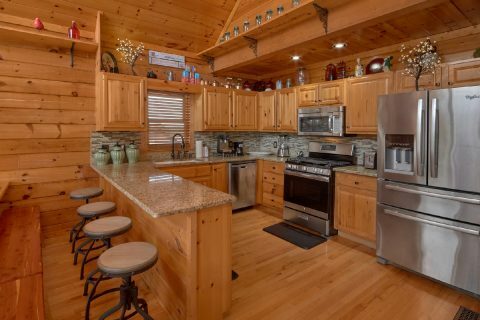 Cook meals in the kitchen with stainless appliances that everyone can enjoy at the breakfast bar or at a large dining table that seats 14. 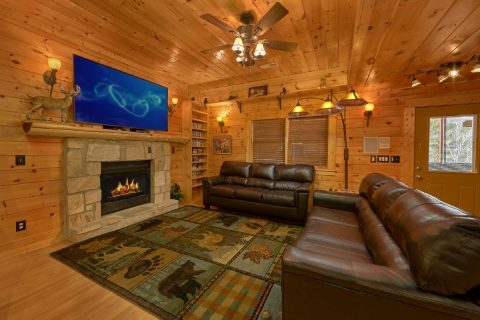 Your living room provides the perfect place to enter with 2 leather sofas, a gas fireplace, and a 70" smart TV. 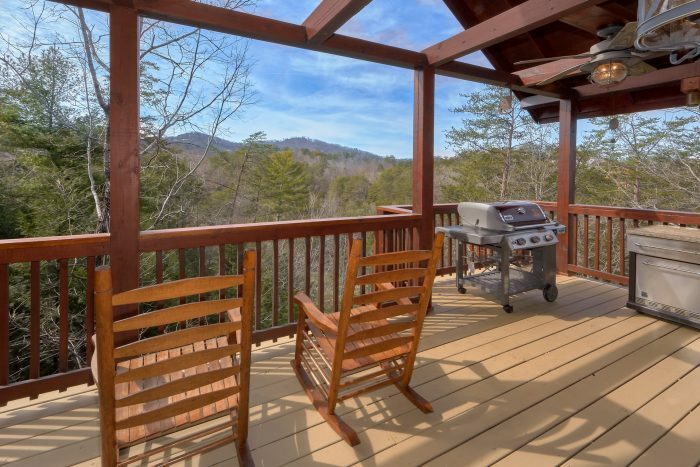 Outside on the main floor's deck, you can host a cook out with fresh burgers on your gas grill or relax in a rocking chair. 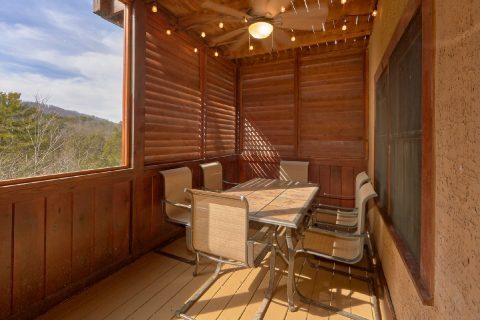 There's plenty of space to entertain on this deck as well with a mini-fridge, table with seating for 10 and Bose surround sound. 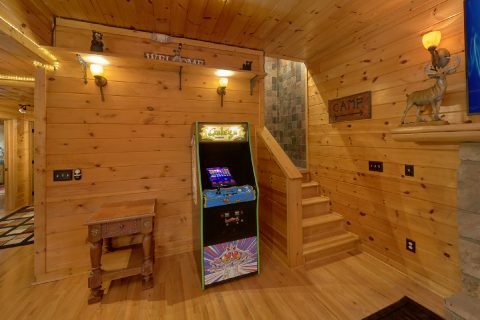 Downstairs, you'll find even more fun! 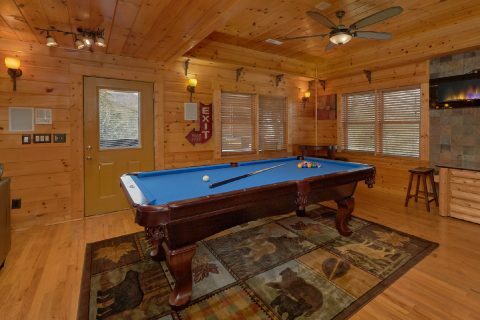 Your cabin features a game room for hours of entertainment with a pool table, card table, and two arcade games. 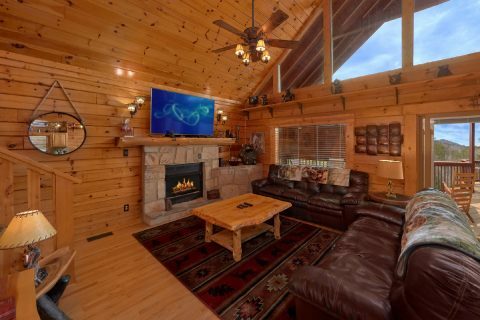 Watch a movie with friends and family in the seating area with a leather sleeper sofa, fireplace, and 70" smart TV. 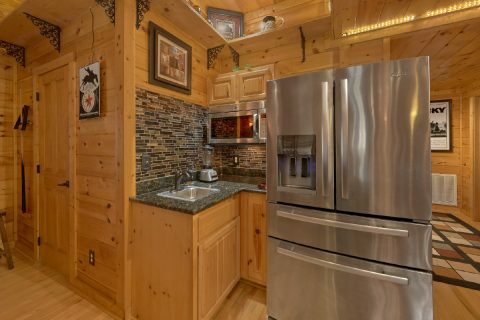 Prepare snacks for the movie with the mini-kitchen with full-size refrigerator, sink, and a microwave. 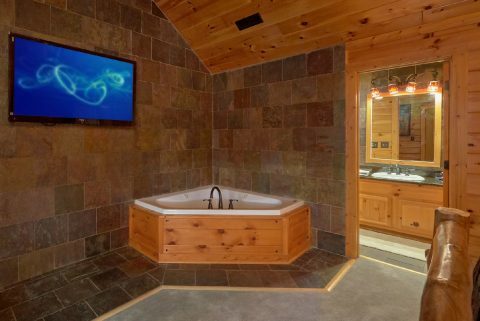 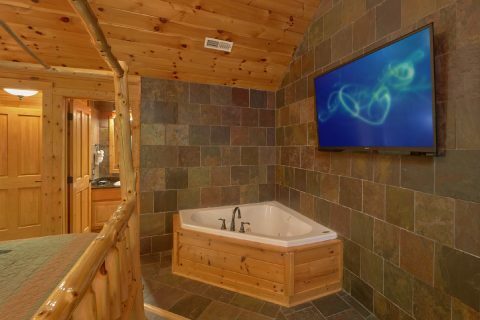 Outside, you can enjoy fun and relaxation in your cabin's 7-person hot tub while listening to your favorite songs play on the Bose surround sound. 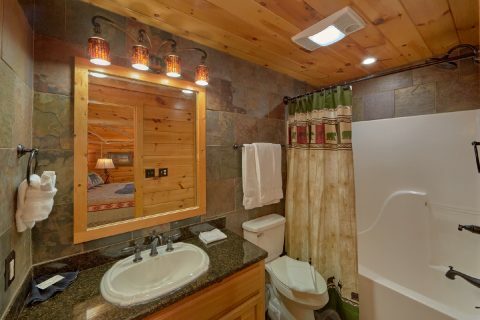 There's also plenty of space for you to enjoy some relaxation in mountains at your cabin. 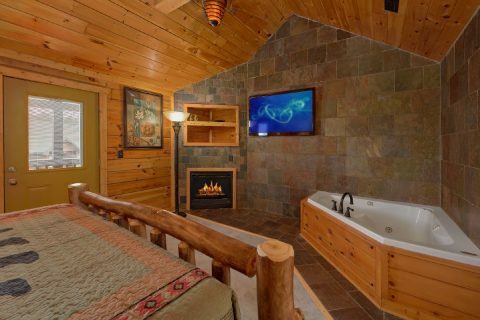 The main floor features 2 king master suites that each offer luxurious accommodations with a gas fireplace, 50" TV, and full bathroom. 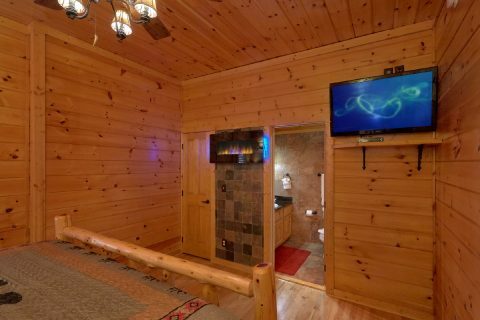 Upstairs, there's a queen bedroom with electric fireplace, 50" TV, jacuzzi tub, and a full bathroom as well as a king bedroom with the same amenities. 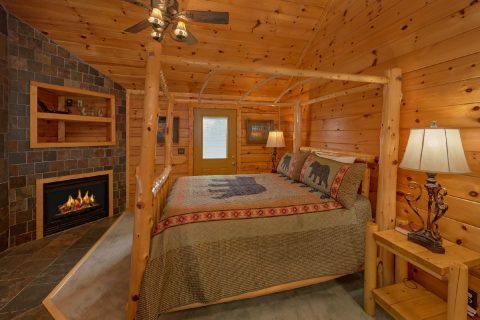 Both bedrooms have a door to the upper level deck, where you can enjoy sipping coffee while relaxing in a rocking chair on a lazy mountain morning. 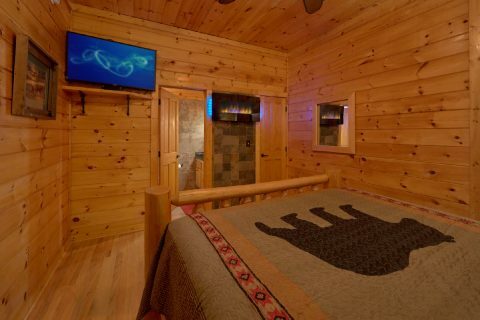 Downstairs, you'll find 2 more king suites with king bed, 50-inch TV, electric fireplace, and a full bathroom. 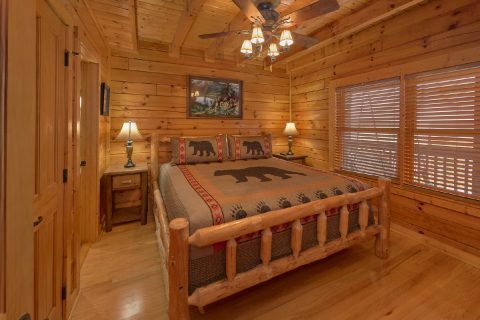 In addition to a splendidly comfortable cabin interior, you'll enjoy easy access to some of Pigeon Forge's top attraction. 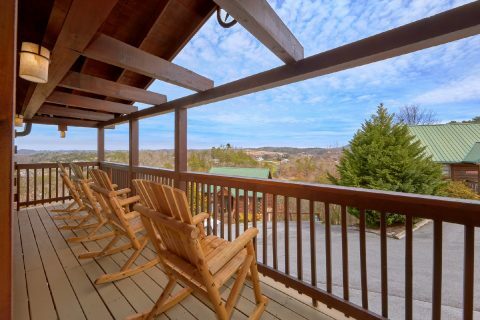 You're only minutes from the Parkway, where you can enjoy shopping, dinner shows, family attractions, and more. 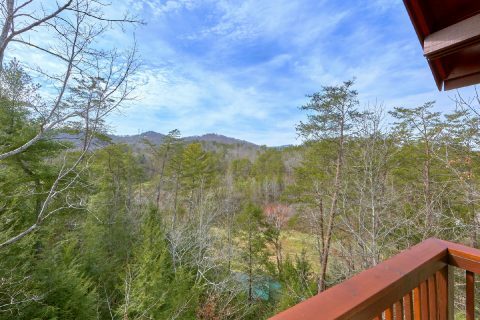 So close, in fact, that you can see Dollywood and The Island from your cabin! 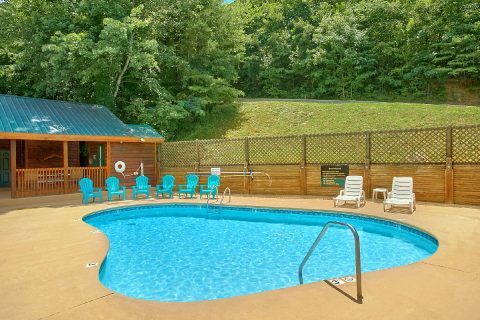 With such a convenient location, you're bound to have a one of a kind vacation. 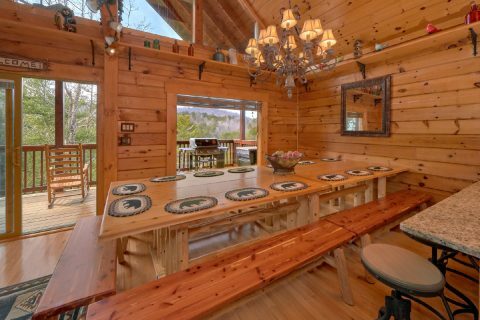 Book "Arrowhead View Lodge" today and enjoy a 15% online booking discount when you reserve this luxury 6-bedroom cabin with deck and more today!